This month we have a gorgeous line-up, including a picture book about managing fear, a thoughtful middle grade story about encouraging empathy and talking about difference, a family-focused story set in 1970s Australia, and more. Find our March picks for YA books here. Lottie is reluctant to go in the pool at her swimming lessons because she is quite sure that it contains a shark who wants to eat her. To the rescue comes Walter the singing walrus, with his lovely song Humbelly doo, Lumbelly la, Loopy loo and his love of swimming, and maybe, just maybe, Lottie can overcome what’s holding her back? The illustrations are full of delightful details that speak to Lottie’s fears, such as the shadow of the shark that turns into the shadow of a friendly walrus. Our reviewer Claire highly recommends this picture book from beloved Australian creator Anna Walker, describing it as ‘a beautifully illustrated and heart-warming story that shows that with a helping hand you can have all the courage you need.’ For ages 3 and up. 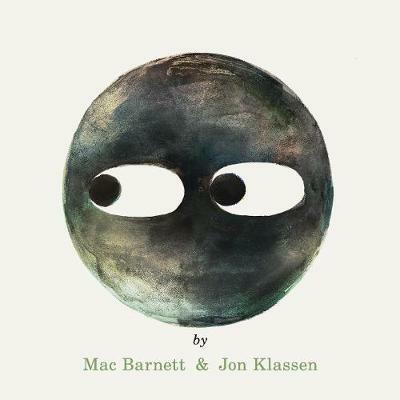 The finale in Mac Barnett and Jon Klassen’s quirky Shapes trilogy is here, and it’s Circle’s moment to shine. Circle suggests a game of hide-and-seek to Triangle and Square, with one rule: don’t go behind the waterfall. Of course Triangle breaks the rule and Circle is forced to go looking in the dark cavern beyond the water. When Circle sees another pair of eyes in the blackness she assumes that they belong to Triangle, but later finds out they’re not. So who is waiting in the darkness? And what shape are they? Our reviewer Morgana says: ‘This is a gentle message about rule-breaking but more importantly about how things aren’t as scary as they may seem.’ For ages 3 and up. Anna has inherited a rundown hotel from her Great-Aunt Mathilde, but this is a hotel with a difference – the concierge is a lemur, the doorman is a bear and all the guests are animals! Luckily Anna has oodles of energy and she sets about reinvigorating and restoring the hotel to its former glory, including hiring a troupe of performing flamingoes. Our reviewer Athina was delighted by this, the first book in a planned four-book series, saying: ‘This heart-warming story celebrates friendship, cooperation, determination and a place to call home’. For ages 7 and up. Oona lives in a town literally built from the wood of shipwrecks, and dreams of joining her sea captain father on the wild seas. Instead she’s stuck at home with her vapid stepsisters. Luckily Oona is daring, kind and hungry for knowledge and adventure. She sneaks onto her father’s ship and heads north to where she hopes she will encounter the mythical nardoo. Woods’s first novel, The Boy, the Bird and the Coffin Maker was shortlisted for the Readings Children’s Book Prize and she has continued her lyrical and fable-like writing with her second book. Our reviewer Kim loved this ‘wonderful adventure with touches of magic and stylish illustrations throughout’. For ages 9 and up. When her baby sister Emma is born deaf, Jilly, who is white and hearing, wants to learn more about how the world is going to treat her sister differently from her, just as it will treat them both differently from their Black cousins. Jilly is a big reader of fantasy books and she’s pleased when she strikes up an online friendship with another fan Derek, who is deaf and Black. Jilly wants to have the kinds of conversations and ask the types of questions that her family brush off, but Derek balks at being reduced to one of his identities. Gino has written a great story about a well-meaning young character who isn’t afraid to talk about tricky topics. Our reviewer Angela loved You Don’t Know Everything, Jilly P!, saying that ‘Jilly bravely faces these big issues, asks questions, calls out family members, sometimes gets it wrong and learns from her mistakes.’ For ages 10 and up. It’s 1979 and Skylab, the space station, is falling to Earth. What’s happening to Skylab resonates with twelve-year-old Frankie and her little brother Newt, because their father was killed when his small aircraft fell from the sky. Frankie has been trying to hold everything together – taking care of Newt while her mother works, balancing school and family and changing friendships, and negotiating those years where you are not quite a child and not quite a teenager. When Newt starts behaving strangely, Frankie feels responsible for keeping him safe. Our reviewer Bec praised this sensitive and perfectly-pitched middle grade story, describing it as ‘a book that is tender, hopeful, and slightly surreal.’ For ages 11 and up. Richard Adams' classic story about a group of rabbits has enthralled young readers since its first publication in 1972. Made into a beloved animated film in 1978, Watership Down has enjoyed another wave of interest with the recent BBC-Netflix co-production. Set in the picturesque English countryside, the story begins when Fiver starts to have visions of doom for their warren. A motley band of rabbits decide to leave, led by Fiver’s brother Hazel, but the world outside the warren hides dangers that they could not have imagined; dogs, birds and humans among them. Our reviewer Claire adored her first reading of this classic, finding it to be: ‘An adventure full of courage, suspense and heart-wrenching sadness, I definitely cried more than once, but there is hope and renewal at the end.’ For ages 11 and up. We’re so thrilled to announce The Readings Children’s Book Prize shortlist for 2019! This prize celebrates exciting new voices in Australian children’s literature. This year’s six shortlisted titles will appeal to a wide range of ages, and features thrilling exploits, as well as quiet stories that sensitively tackle themes of mental health, bullying, family dynamics, growing up, and facing the future. Find out everything you need to know about the shortlisted titles here. The Children’s Book Council of Australia (CBCA) has announced its Notable Books for 2019. Congratulations to all the authors, illustrators and publishers! You can find out more about the notables in the older readers, younger readers, early childhood, picture book, and information book categories here. The finalists of the 2018 Aurealis Awards have been announced, recognising the achievements of Australian science-fiction, fantasy and horror writers. The finalists in the Best Children’s Fiction category are: The Relic of the Blue Dragon by Rebecca Lim, The Slightly Alarming Tales of the Whispering Wars by Jaclyn Moriarty, The Endsister by Penni Russon, Secret Guardians by Lian Tanner, Ting Ting the Ghosthunter by Gabrielle Wang, and Ottilie Colter and the Narroway Hunt by Rhiannon Williams. Shaun Tan was also listed TWICE in the Best Graphic Novel/Illustrated Work for Cicada and Tales from the Inner City. In the UK, the longlists for the 2019 CILIP Carnegie and Kate Greenaway Medals have been announced. The Carnegie Medal is awarded by UK children’s librarians for an outstanding book written in English for children and young people, and the Kate Greenaway Medal is awarded for an outstanding book in terms of illustration for children and young people. Recently we’ve celebrated picture books about love, pondered the best books to read aloud to kids, and after a surprisingly hard-to-fulfill customer request for board books featuring a female main character, explored board books that help tackle gender bias early on. There’s a glut of kids events this month! Join us on Saturday 23 March 2019, 10:30am at Readings Kids for a hilarious story time with James Hart and Adam Wallace, where they will introduce their new book series, Cowboy and Birdbrain. This event is free, but please book here. On Saturday 30 March 2019, 10:30am at Readings Hawthorn, come to a special story time with author Amelia Donnelly. Amelia will read her picture book, The Golden Thread, which addresses the difficult concept of grief in a positive way. Free, no booking required. You Must Be Layla by Yassmin Abdel-Magied, Thursday 14 March 2019, 6:30pm at Readings Carlton. Free, no booking required. Playground Circus by Chrissy Byers & Simon O'Carrigan, Saturday 16 March 2019, 11am at Readings Kids. Free, no booking required. 52 Mondays by Anna Ciddor, Sunday 17 March 2019, 11am at Readings Hawthorn. Free, no bookings required. A Grain of Hope by Nicola Philp & Aldy Aguirre, Monday 18 March 2019, 6:30pm at Readings Hawthorn. Free, no booking required. Colouroos by Anna McGregor, Sunday 31 March 2019, 10:30am at Readings St Kilda. Free, no booking required.